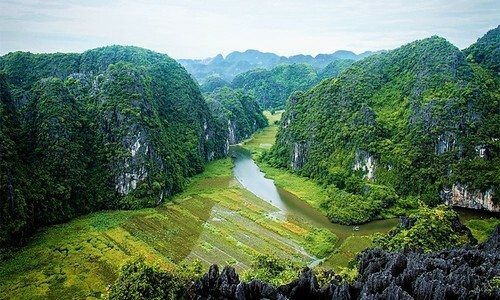 A ‘lost world’ that millions of people have enjoyed discovering nestles quietly in central Vietnam. Let’s get you there. The trip to this ancient town that still retains its original features will also take you to pristine beaches, islands, forests and more. 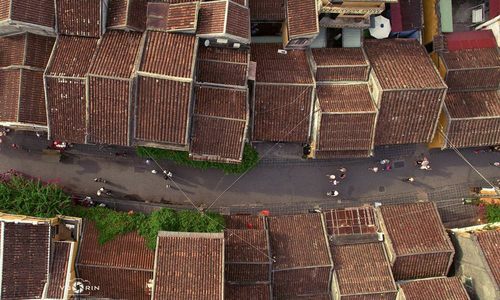 Hoi An was recently named among the 15 best destinations in the world by the Travel + Leisure site, so it is not surprising that many consider it the top tourist destination in the country. But what is so special about this small town that sets it apart? The simple answer is: everything – its signature yellow walls, centuries-old houses, the flowers that adorn them, the thousands of traditional lanterns that light up its streets at night, its historical artifacts and architectural features, and its delicious cuisine. But there’s more. Hoi An is also a tourism heaven for its convenient transportation and reasonable prices. It is also a destination that retains its appeal all year round, though the peak season is summer. You can get around on cyclos to slowly get the vibe of the town. You can rent bicycles or motorbikes at your hostel or homestay to travel around Hoi An. 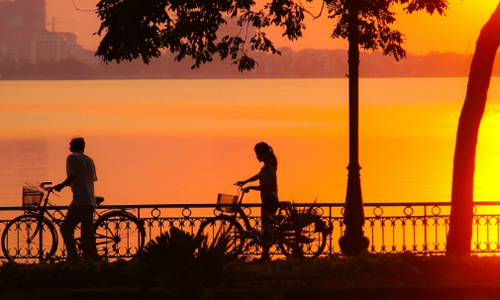 A bike costs VND20,000 ($0.86) per day while a motorbike costs VND120,000 ($5). Since motorbikes are banned in the town center, you may take a cyclo trip to slowly get the vibe of the town. It will cost you VND150,000 ($6.50) per hour. The tourism boom in Hoi An means there is a vast variety of accommodation ranging from luxurious resorts and hotels to homestays. You can book luxurious resorts near Cam Chau Ward and An Bang and Cua Dai beaches. A five-star double room normally costs over VND2.5 million ($107) per night. A cool homestay facility in Hoi An. The homestay business is flourishing in Hoi An since many tourists opt for these places for a “local” experience. Hoi An homestays are often fascinating with their unique architecture and stylish interiors. Room prices stay at above VND200,000 ($8.65) per person per night all year round. There are some beautiful homestays that are particularly appealing, especially to young travelers, like Maison de Tau, Under The Coconut Tree, An Bang Beach Hideaway, Heron House, Le Bleu, etc. Hoi An food is widely acclaimed by locals, visitors and world-renowned chefs like Anthony Bourdain, Luke Nguyen and Cameron Stauch. Apart from its varied flavors, Hoi An cuisine also wins the heart of travelers with its reasonable prices. Sweet soup can be found on the street at VND5,000 – 10,000 ($0.22 – 0.43) and banh mi at a dollar. 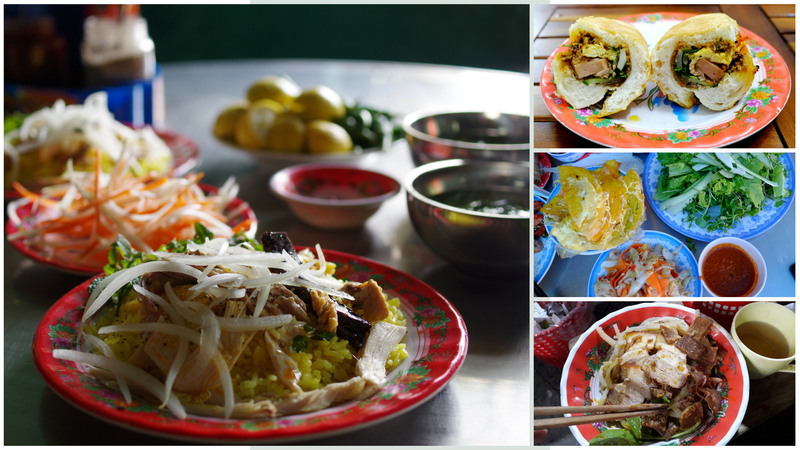 Cuisine is an exciting feature of Hoi An. Tourists can never fall short of cuisine options with Hoi An’s multitude of bustling restaurants. Popular dining places include Ba Buoi chicken rice, Phuong banh mi, Madam Khanh banh mi, Gieng Ba Le pancake, Hoi An market vegetarian meals, Mot Hoi An herbal drinks, Thanh noodle, etc. Outside, on the sidewalks, numerous food stalls also await you. Sweet foods and snacks are ubiquitous everywhere you walk, so make sure you don’t miss tube ice cream, lotus seed sweet soup, tofu pudding, mango cake, and many more. After a long walk around the old town, you would surely enjoy a refreshing drink at one of Hoi An’s beautiful coffee shops. Hoi An’s drinks are as diverse as its foods. Apart from the reputed herbal drinks, tea and coffee are not to be missed here. A café bathed in sunlight at the center of Hoi An. What makes the experience even more worthwhile is the ambience of the cafés. Some teahouses in Hoi An are a mix of the ancient and modern breath. You can visit Faifo Café on Tran Phu Street for a bird’s-eye view of the town, Reaching Out tea shop for a moment of tranquility or Hoi An Roastery for scoops of magnificent Italian gelato. Find yourself a space on a 100-year-old rooftop or deep inside Hoi An’s maze of alleys, and let your thoughts drift around this antique town. Hoi An is certainly the center piece of the trip. Sometimes called a living museum, Hoi An invites you to a ride back in time with its well-preserved landscapes. With a one-day ticket costing VND80,000 ($3.46), you can enter three of the most prominent destinations in the old town like the Pagoda Bridge built by the Japanese in the 1590s, the Chinese assembly halls of Fujian, Quang Trieu, Hainan, Chaozhou, and Vietnamese ancient houses like Quan Thang, Duc An, Phung Hung, Tan Ky. The ticket also allows you to experience street arts, folk games, night markets which take place after 7 p.m.
At night, you can take a gentle boat ride, float flower lanterns on the river, take a walk over bridges, listen to live music in a bar, or watch famous culture shows like the world renowned A O Show. 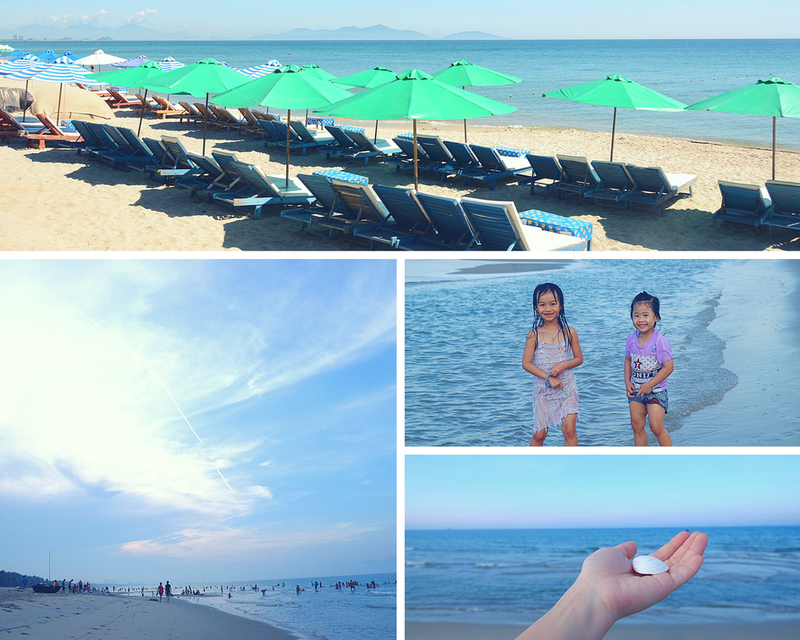 An Bang Beach is less than two miles from Hoi An. The sea here is turquoise and not too crowded. In 2011 An Bang was named by CNN among the world’s 50 most beautiful beaches. Ha My Beach, four miles from Hoi An, was named among the 10 most beautiful beaches in Asia by the Telegraph. Ha My is appealing with its serene ambience and blue, crystal clear waters. There are resorts and hotels near Ha My beach. Cua Dai, three miles from Hoi An, is a more popular destination. Its long stretch of white sand and azure waters make Cua Dai the top beach in town. In 2013 it was listed among Tripadvisor’s top 25 beaches in Asia. You can lie for hours on the sand and sunbathe, go fishing near the shore or take part in water sports. Tra Que vegetable village is famous for its fresh vegetables grown in fertile soil. The village is two miles from the center of Hoi An. You can visit the place to learn about a range of vegetables and spices. Visitors can also experience life as a farmer by plowing the soil, planting and harvesting vegetables. 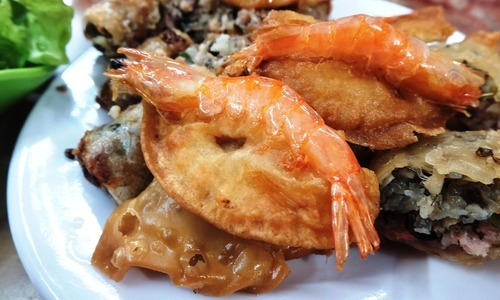 After that they can enjoy Hoi An specialties cooked with fresh seafood such as mussels, prawns and Quang thick noodles. Thanh Ha pottery village, which dates back to the 15th century, lies two miles west of Hoi An along the Thu Bon River. The village produces pots, brick tiles, dishes, and many unique souvenirs. Visitors can observe the artisans’ techniques and try their hand at making their own pottery products. Kim Bong carpentry village is famous for the exquisite and unique woodwork it makes for houses and boats, modern decorations and souvenirs. This 600-year-old village is an ideal destination for people who enjoy wood craft. Phuoc Kieu bronze casting village has been around for four centuries. Here visitors can see artisans make bronze products, buy souvenirs or simply marvel at the sophisticated products made for festivals as well as daily use. 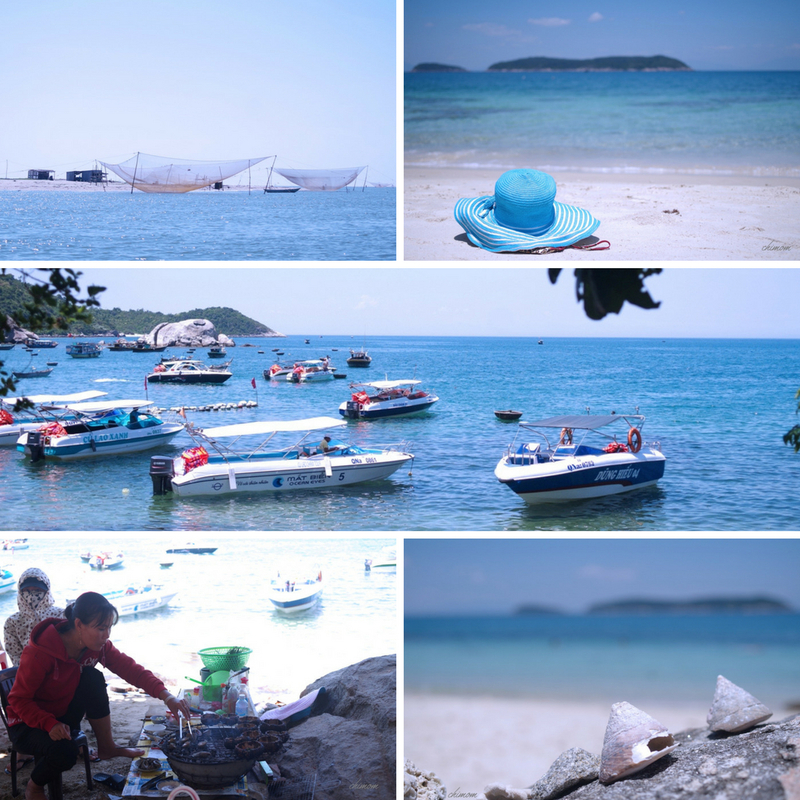 Cham Island is another popular draw with its fascinating options like scuba diving and walking underwater. Lying quite close to the mainland, the island is ideal for a one-day visit. From Hoi An you can reach Cham Island by boats. Speedboats take 20 minutes and cost VND150,000 - 200,000 ($6-8) per person. You can save money by paying VND50,000 - 80,000 ($2-4) for a normal boat at the Bach Dang Wharf, but the trip takes around two hours. If you want to carry a motorbike on board, that would be an extra VND30,000 ($1.30). Cham Island is ideal for a one-day trip. In Cu Lao Cham, the main accommodation is homestay, motel or tent. A night’s stay would cost VND100,000-150,000 ($4-6) for a single room. A tent costs about VND 100,000 ($4.32) per night. 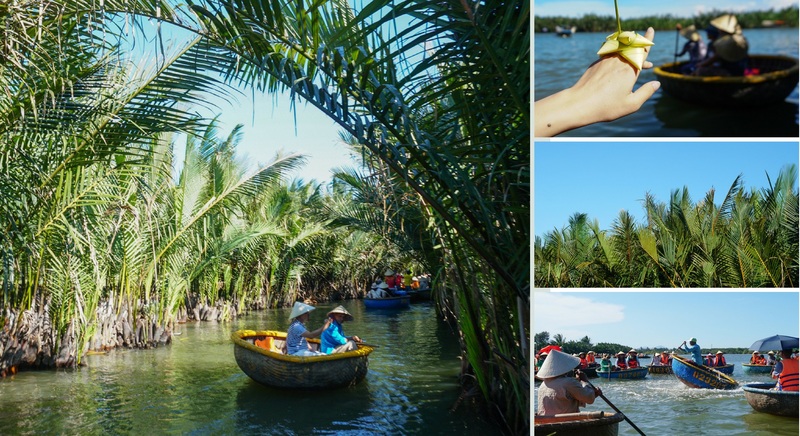 Bay Mau mangrove forest is two miles away from Hoi An. Row boats are the sole means of transportation here. Tourists can take a one-hour boat ride through the creeks and enjoy the vast, green coconut groves. This service has been available for years, and is now an intrinsic aspect of tourism in Hoi An. A boat can only accommodate two people and the fare is VND200,000 ($9) per person. Visitors can also watch boat dance performances, learn to make trinkets like water flowers, bracelets, glasses, rings, etc from coconut leaves. If you visit Bay Mau during the eighth lunar month, you can enjoy coconut water along with sweet, crunchy flesh.